We continue to feel that the ramifications of a breakdown or breakout in the Australian dollar are broad and consequential. 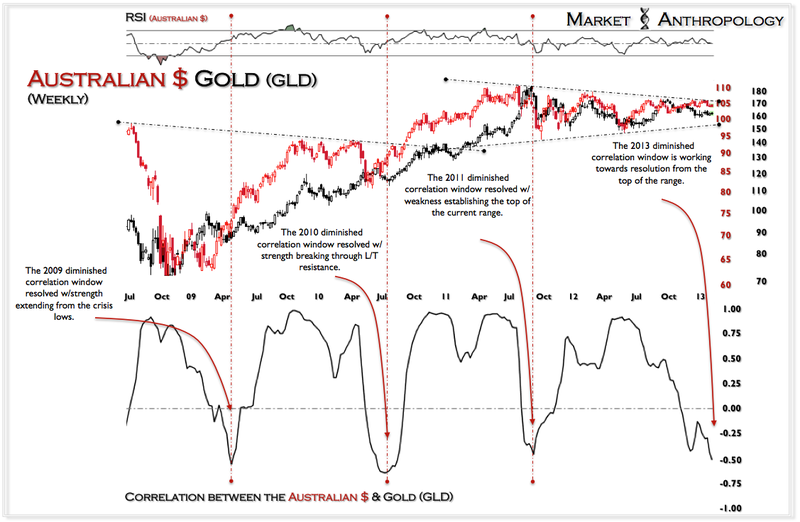 From gold to the SPX, risk appetites have been aligned to the Aussie for several years. 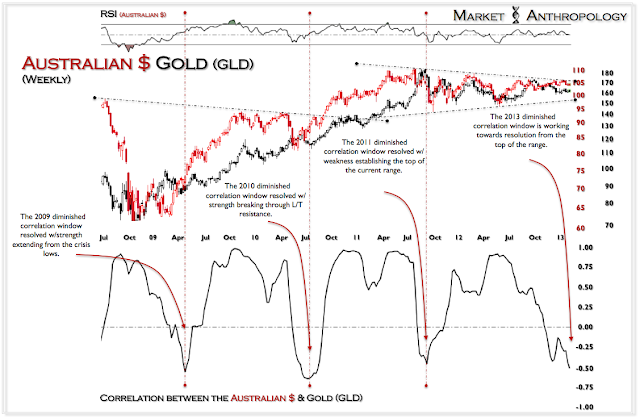 As apparent in the Aussie/gold chart below, we appear to be working towards a trough low of another diminished correlation window. These windows have opened and closed on a yearly basis - with the trend from the trough serving as an important inflection point for each asset. We maintain the bearish expectations of long-term breakdowns in both the Aussie as well as gold.